The book starts from the perspective of David, a nine-year-old who is the main character. His mother dies about a year before the book begins. David refers to this as the Sadness in his life. After his mother died, he had to move from Minnesota to live with his grandmother. His father works in Connecticut and drives every weekend to see him. Still, David is upset at his grandmother, and ignores what she says. He has no friends—but that changes when he meets Primrose. Primrose has a similar story to David. She lost her father before she was born, and doesn’t remember much about him. When David finds her she treats him like trash—they argue and complain most of the time. But slowly they begin to form a shaky bond. A lot about them is similar—both are missing a parent, and the other parent isn’t around a lot. Both begin to spend a lot of time with Refrigerator John, Primrose’s friend. In a way, he sort of becomes a parent for them, but mainly to keep them off the streets at night. The book tells mainly about Primrose and David’s relationship. It’s interesting to see it grow and change throughout the book. 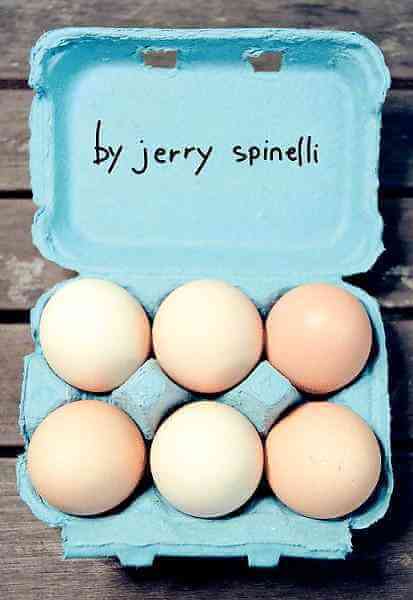 I’m convinced that only a good author can write a book like Eggs. There isn’t even that much action; it’s just the semi-normal life of two kids—but Spinelli turns it in to a masterpiece. I highly recommend Eggs. It’s one of those books that you’re always hesitant to read, but love once you get in to. It’s short—not hard to read. And to think that Jerry Spinelli was going to leave it in a closet and never publish it. Lucky for us, his wife found it and he regained interest in the project. 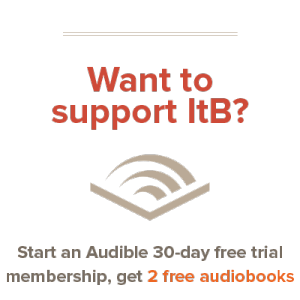 I started listening to an audio version of this book. It’s pretty good! I’m excited to see how the plot thickens. It is a pretty good book…hope you enjoy listening to it!